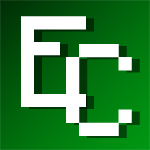 Who would you like to see as Moderator for Econicraft in July? Vote for the player you would most like to see become a moderator on Econicraft for the month of July. The three with the most votes will be made moderator. This poll will be open for three days. Removed Pika from the poll due to her becoming an admin. Can we please extend this until July 1st? Also, can we make it to where you can't vote for yourself, is that possible? Update. Jailed King of Grapes for Griefing uinShanes base. Have yet to talk to him, but will let you guys know. I guess there really are sour grapes. wait ow do i get on the mod vote?